No BB10 'til next year, 5,000 jobs to go, sales and earnings way down. Can things get any worse for RIM? The Waterloo-based giant admitted that work on the OS had taken longer than anticipated and no that handsets bearing the software will launch before the year is out. RIM had previously pledged to bring the next-generation software, thought to be the only thing which can save it from the smartphone abyss, to handsets before 2012 came to a close. CEO Thorsten Heins remains bullish, but with his company desperately in need of some positive news, this announcement is a staggering blow that will send its ever-dwindling share price further into the doldrums. Heins said: "RIM's development teams are relentlessly focussed on ensuring the quality and reliability of the platform and I will not compromise the product by delivering it before it is ready. I am confident that the first BlackBerry 10 smartphones will provide a ground-breaking next generation smartphone user experience. 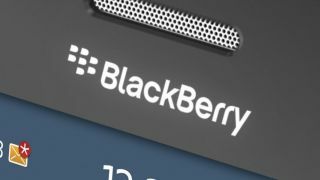 "The reception of the BlackBerry 10 platform by our key carrier partners has been very positive and they are looking forward to going to market with BlackBerry 10 smartphones in the first quarter of calendar 2013." RIM's quarterly earnings report for the three months ending June 2 was expected to bring terrible news for investors, but the figures appear to be way worse than even Wall Street had predicted. Revenues are down 42 per cent to $2.81 billion, which means a loss of $518m and a grand total of 99 cents lost on every share during the period. The company's shipments are also way down on the previous quarter. In the first three months of the year 11.1m BlackBerrys were sold, in the second three months that number dropped to 7.8m. Shares are down 15 per cent in after-hours trading and it would not be a surprise to see those numbers fall further when shareholders wake-up with sore heads on Friday morning. To top it all off, RIM also announced that the already-underway restructuring effort will now see a total cull of 5,000 jobs. The big question now is can the company survive in its current form until the first BB10 handsets reach the hands of its remaining loyal users? That lifeboat in the middle of the shark-infested ocean now seems a lot further away.